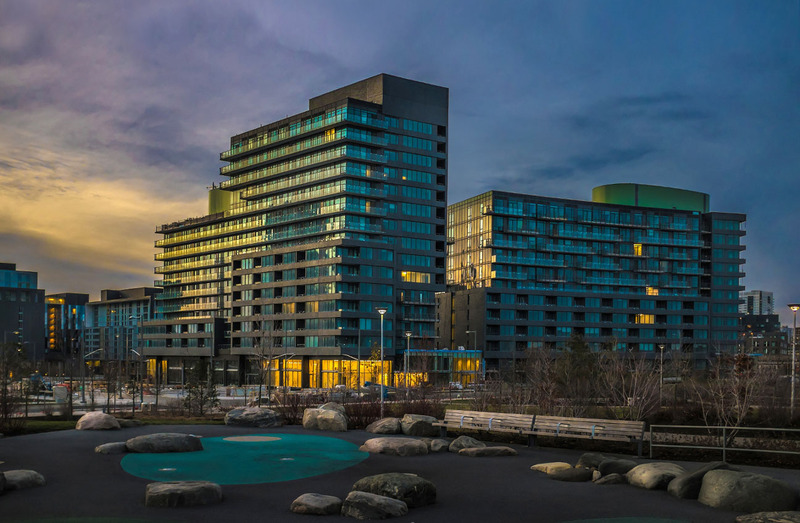 The flurry of excitement raised by the Pan Am/Para Pan Games in downtown Toronto continues, with the Canary District community preparing for its first-ever owner occupancies. Last year’s BILD Community of the Year served as the Athlete’s Village during this year’s games and was lauded for its design by developer Dundee Kilmer. New Urbanism is alive and well in this pedestrian-friendly neighbourhood where opportunities for activity and wellness are built in. Residents will be able to stroll along tree-lined walkways to run errands, grab a coffee and dine out. Within walking distance, they even have a YMCA and student residences for George Brown College. Adding more convenience, the Distillery District – one of Toronto’s most popular urban villages – is steps away with its trendy shops and galleries. Currently, purchasers can choose from suites in Canary Park Condominiums + Townhomes in one of the city’s very best locations. This attractive mid-rise residence sits at the beautiful new Front Street Promenade and faces the new Corktown Commons Park. That superb treed amenity spans 18 acres and encompasses a splash pad and playground, pavilion and amphitheatre. Now is the time to explore the residential choices in Canary District, where the spirit of the games lives on in vibrant surroundings. The Presentation Centre is located at 9 Mill Street, between Parliament and Cherry Streets. Visit www.canarydistrict.com or call 603-7576.